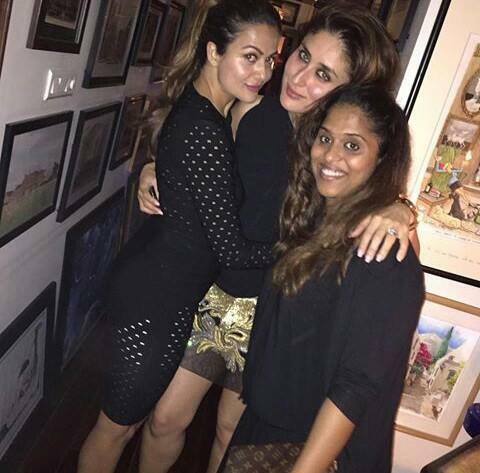 Saif Ali Khan celebrated his 45th birthday in a very close intimate fashion with only few close family friends and guess what, most of the guests were GALS GANG!! Looks like Saif Ali Khan has become more family person with inviting only few guests and spent the special day with his beautiful wife Kareena Kapoor Khan at their residence. Karishma Kapoor, who seemingly share a great bonding relation with her Brother-in-law was spotted at the party. Also, Khans #BFF, Arora sisters – Malaika and Amrita were also present there. 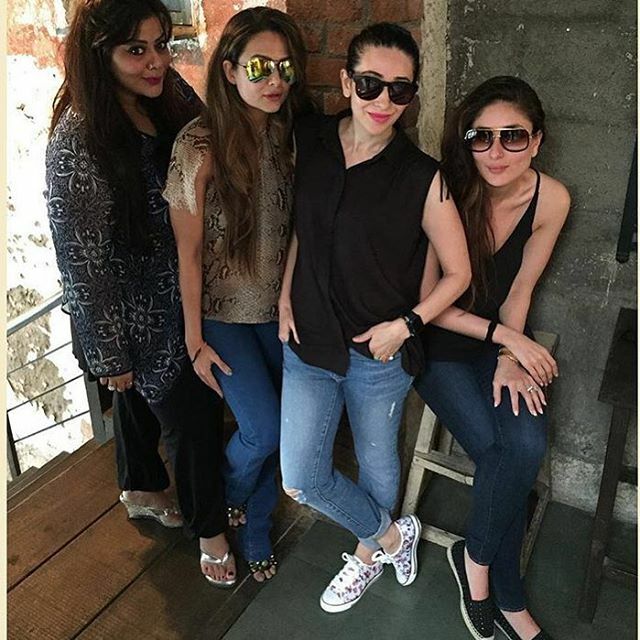 While Karisma look chic in a black sleeveless shirt and jeans, Kareena turned heads with her cool and candid avatar. Other family members who were invited for the party were mother-in-law Babita Kapoor, sister Soha Ali Khan, brother in law Kunal Khemu, son Ibrahim and his closest friends from the industry..